The Band was brought to the attention of the Ohr label by a radio broadcast, a two year contract was made and a second LP - Phallobst - was planned for 1971. Helmut Lieblang left the band shortly before the production for personal reasons, but continued to write lyrics He was replaced by Manfred pangenberg. At the same time an additional guitarist - Thomas Kittel - joined the band. Phallobst appeared at the end of 1971 not as announced on Ohr but on the new BASF sublabel Pilz (a long deleted reissue came out in the mid eighties). In July the LP was recorded in less than a week in Dieter Dierks studios near Kцln on rather unpleasant conditions. The musicians felt themselves under pressure of time, the studio was being rebuilt and Krause was irritated - he had been taken aside behind the group's back and a solo career as the "German Neil Young" had been suggested to him. The production management and the band had their differences regarding the track "I'm On My Way", that then appeared on the record in a form that had been rejected by the band - still an open wound. Despite the estrangement - musically and otherwise - with the producers, Udo Dahmen expressed himself diplomatically in an interview about the studio work, "the group is", he said, "basically satisfied with the result". With the additional second guitarist, Rufus Zuphall became more versatile - in Dierks' studio a Mellotron was available, other key instruments were also used, it could clearly be heard that an effort was being made to attain a more complex and expansive instrumental sound that was also more compact. The playful superficial elements from the time of the first LP were pushed into the background. 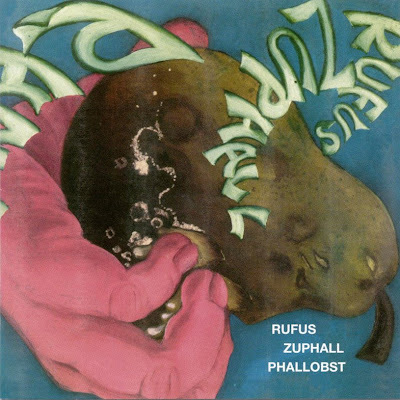 In louder parts Rufus Zuphall were much heavier, in quieter ones they'd become more lyrical and the construction of the songs, despite alternating pace, straighter.